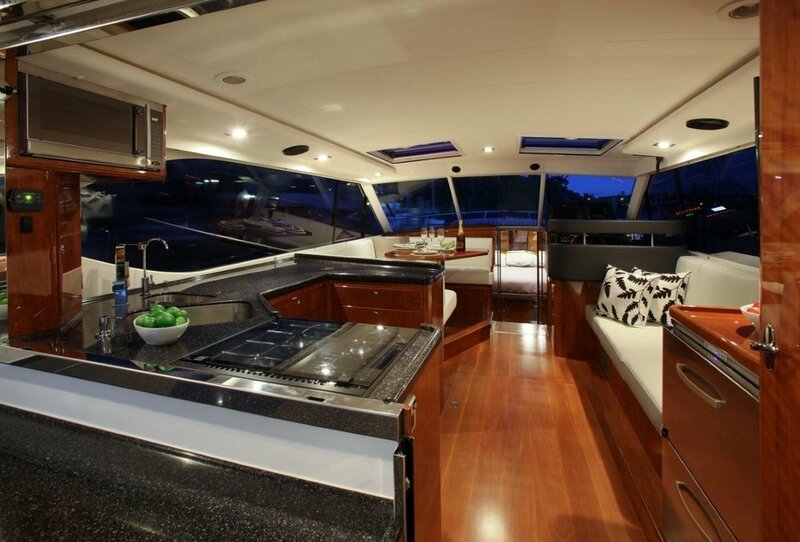 This impressive Salthouse Corsair 49 is well equipped and designed for absolute comfort and style. 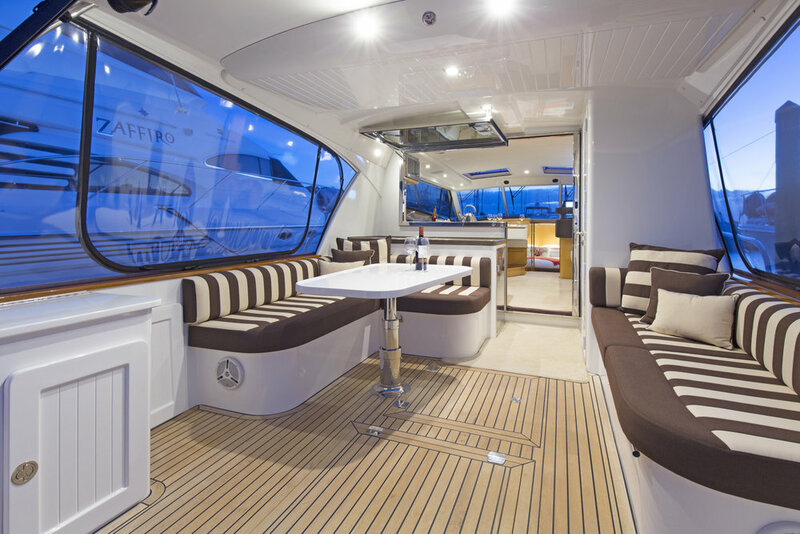 Boasting a large cockpit, a spacious well appointed galley, expansive saloon with superb visibility and ample seating for entertaining and lounging, a two cabin layout. Powered by twin 345 MTU with a max speed of 30 knots and an impressive 60 LPH total fuel burn at 18-knot cruise. 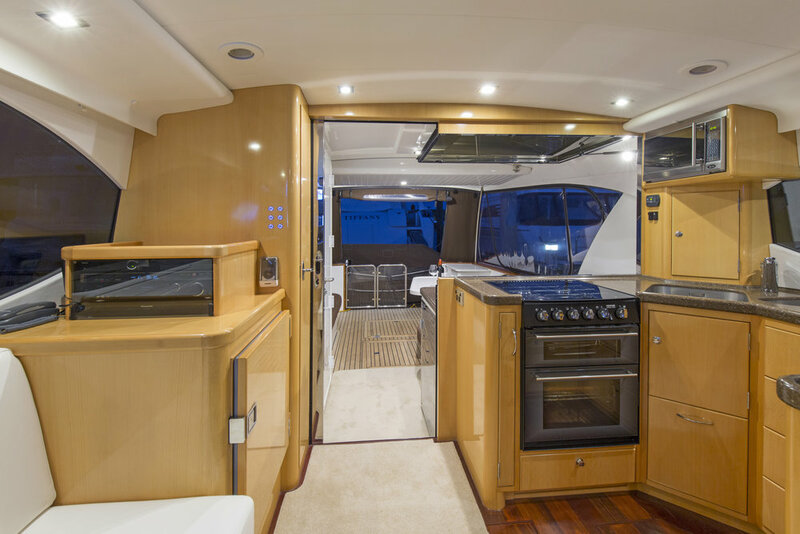 Well presented with extras such as bow & stern thruster, underwater lights, dishwasher and washing machine. This superb design sets the standard in sedan cruisers and combines function and performance expected by the discerning owner // Why choose a Salthouse vessel? 1 owner - on the market for the first time!. Built in NZ by Salthouse Next Generation Boats. Please Contact Dean Salthouse directly on 021 42 97 23 for your personal viewing. At $850,000 she is seriously for sale. 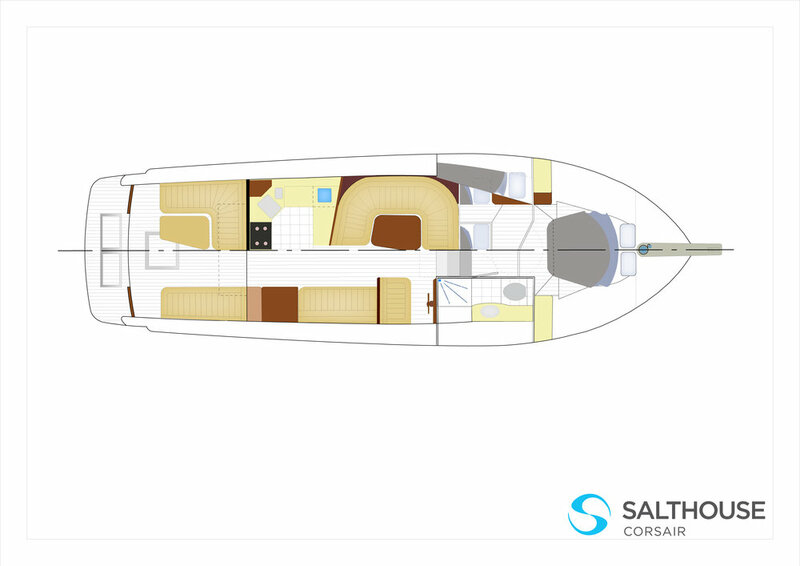 Salthouse Corsair Euro 49 - Price: $990,000 NZD - available now for your summer cruising! Midnight Oil is a must see. At $990,000 she is seriously for sale. Remember "if you don't travel first class be sure your kids will". 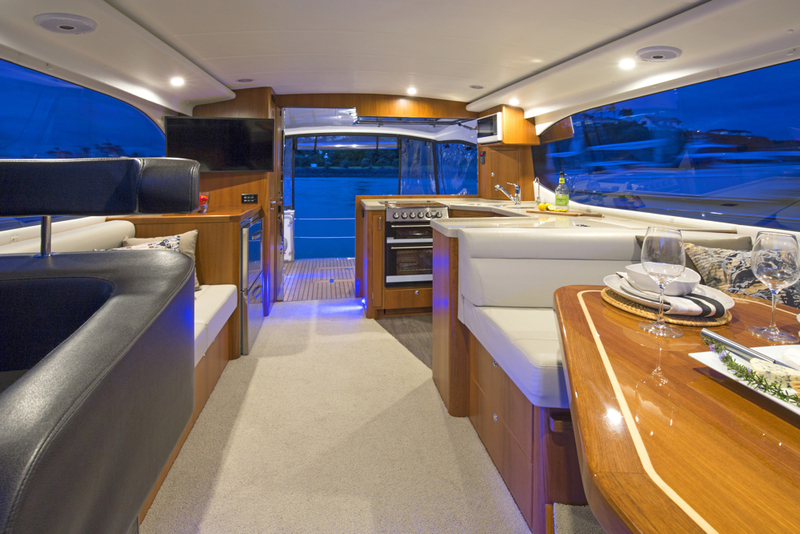 Salthouse Corsair Euro 44 - 1/2 Share - Price: $495,000 NZD - available now for your summer cruising! - don't miss this unique opportunity! If you are a person who demands the highest standard possible in boat building, call Dean Salthouse 021 429 723 today to arrange an inspection or for more information. 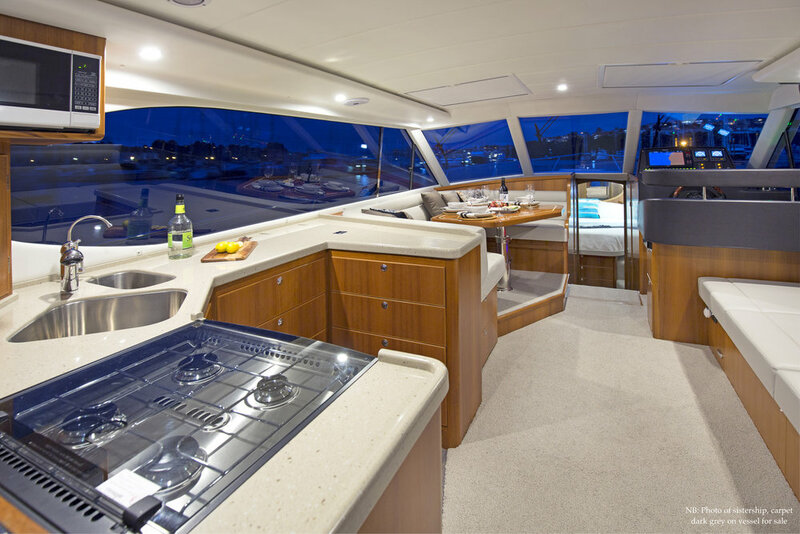 Salthouse Corsair Euro 44 - Price: $990,000 NZD - available now for your summer cruising! 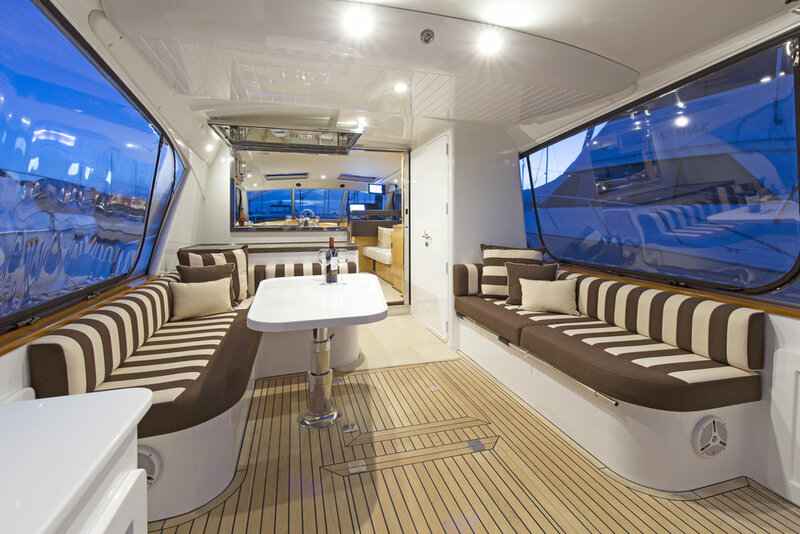 This superb vessel includes the sort after island bed layout, al fresco dining area, large boarding platform setup up for fishing, and has plenty of storage space. 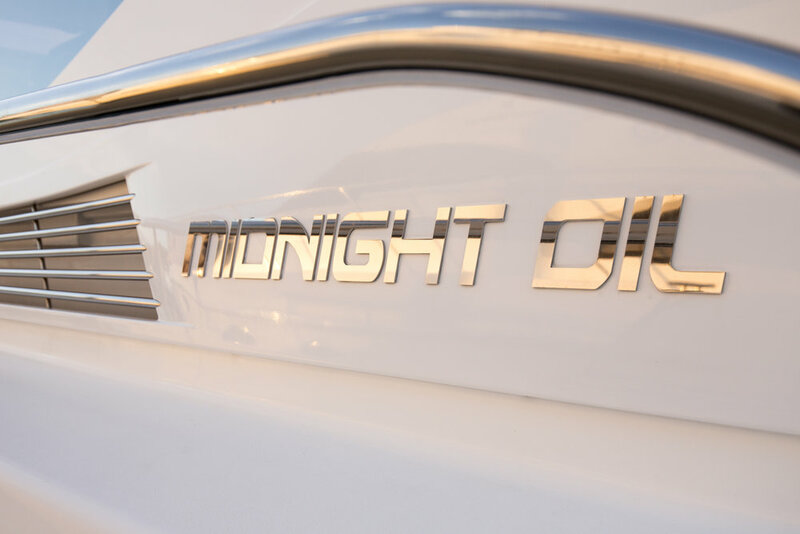 She is powered by a single 500hp Cummins and has a comprehensive inventory of equipment, including a bow and stern thruster. 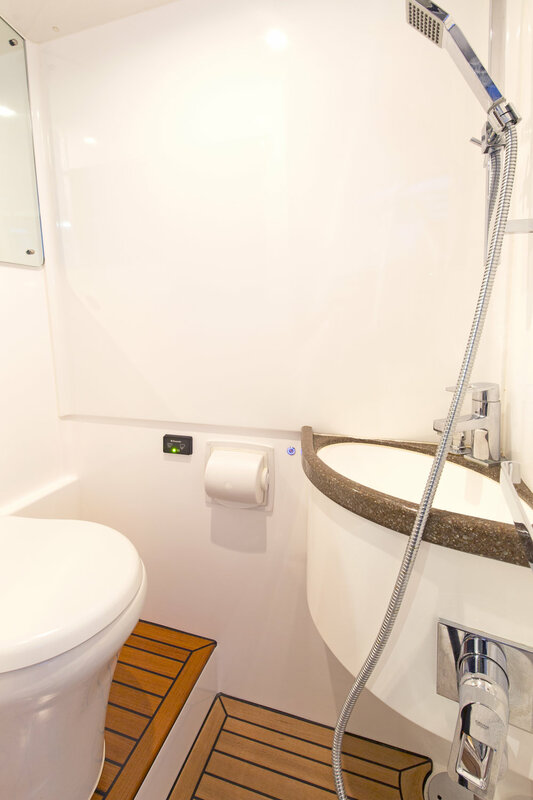 The two cabin layout has an island berth forward and two singles that convert to a queen to port. The magnificent timber work throughout the galley and saloon, create an air of luxury not seen in many new boats today. 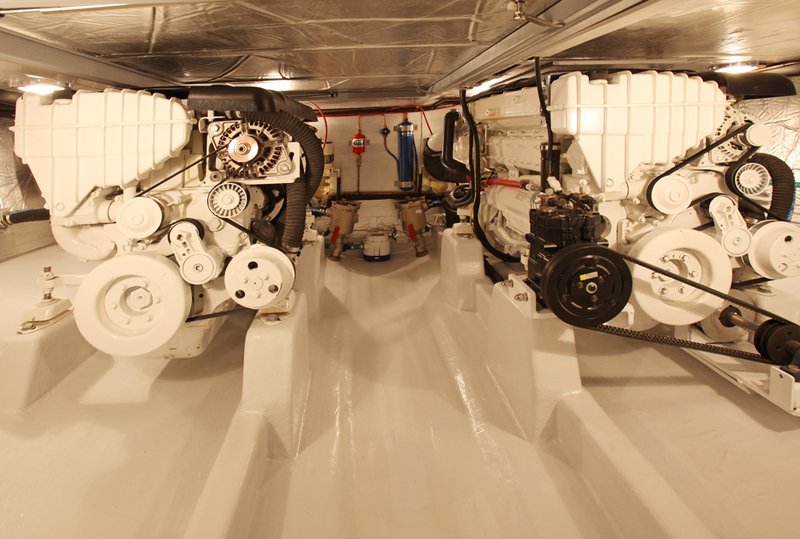 A 5kw generator provides quiet economical power to the 240 side of the ship. 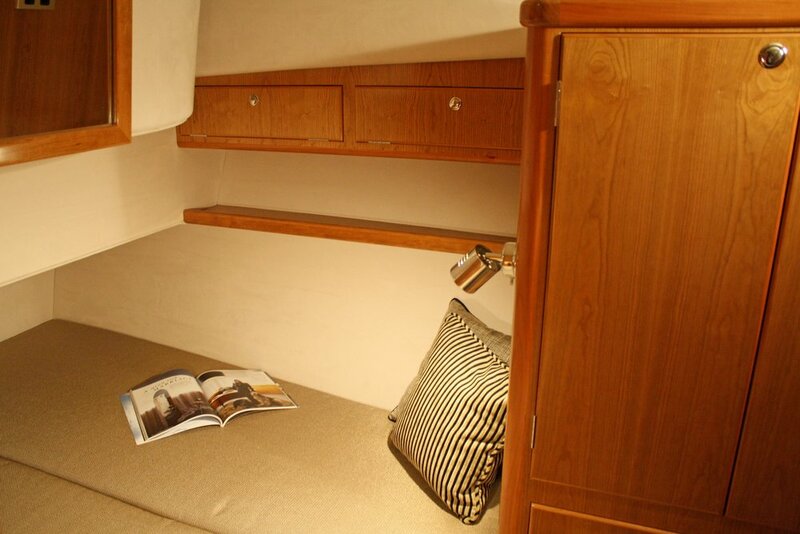 She also has an inverter, cockpit freezer Eutectic 120 litre, washing machine, diesel heater with 5 outlets, rod locker in the cockpit, c-zone and comes with a coffee machine, kitchen ware and bedding. 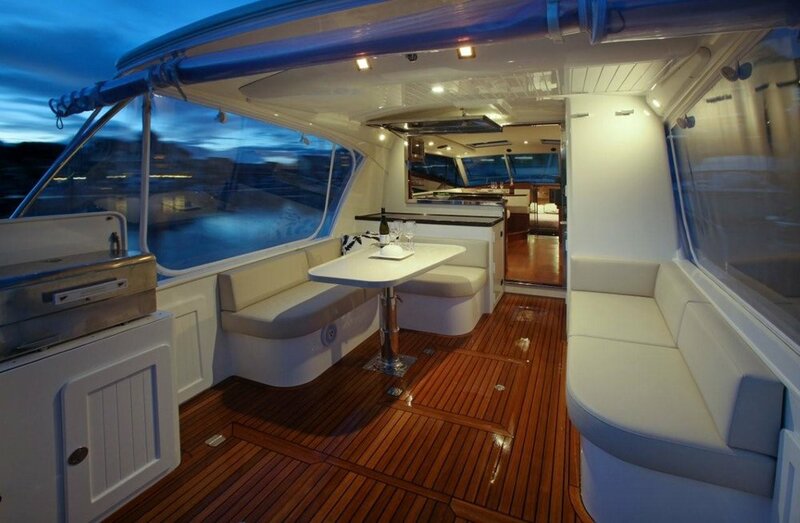 Beautifully appointed and ready for you to jump onboard and enjoy. This superb vessel is a must see! 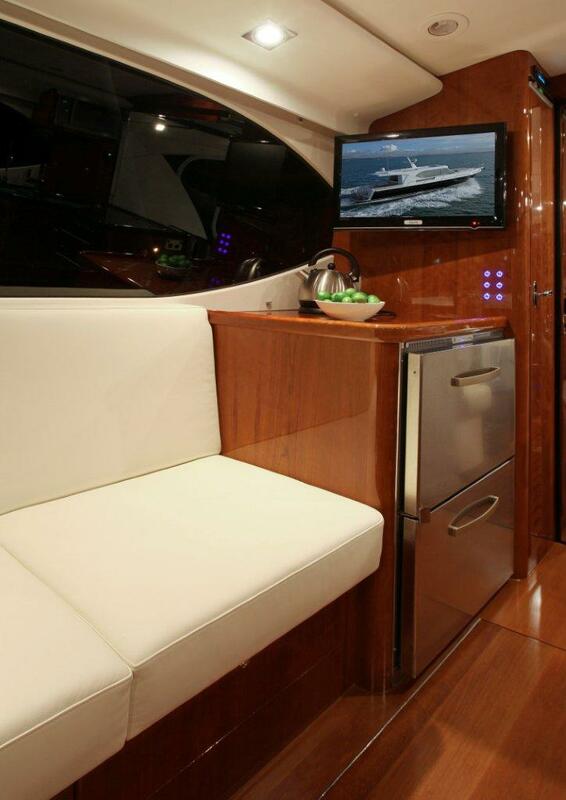 A seamless one level flow from helm to transom, with a rear galley overlooking the spacious cockpit. 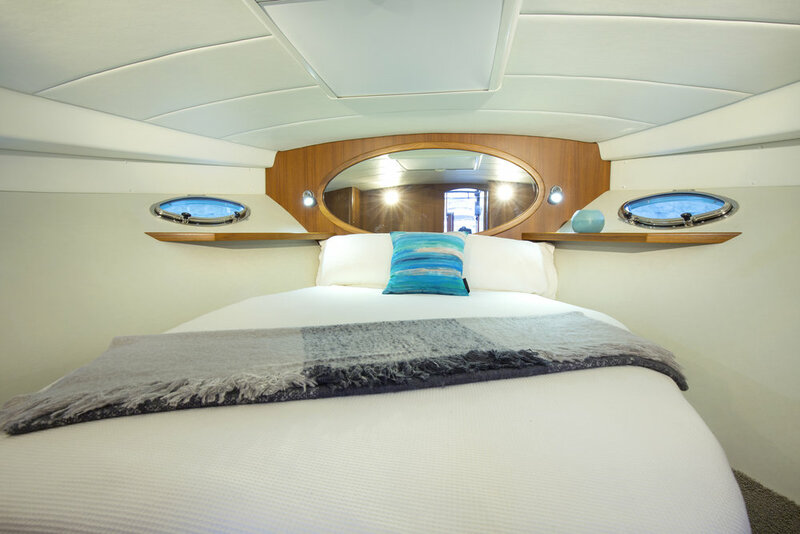 Two cabins offer accommodation for 5 adults, with additional berths in saloon if required. 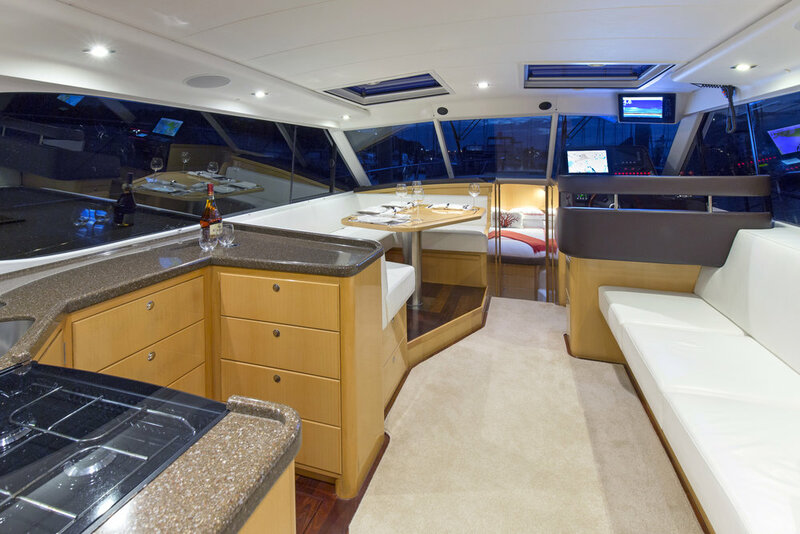 This model includes the sort after forward island bed layout, al fresco dining area, boarding platform with live bait tanks and plenty of cockpit storage space. Modern electronics and controls, along with a bow thruster, make this vessel very easy to operate. 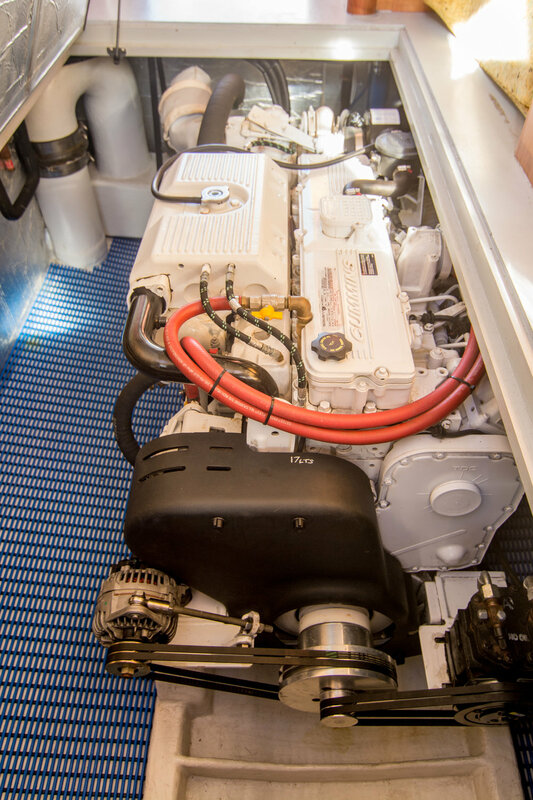 She is powered by twin 370 hp Yanmar and has a comprehensive inventory of equipment. The magnificent timber work throughout the galley and saloon, create an air of luxury not seen in many new boats today. 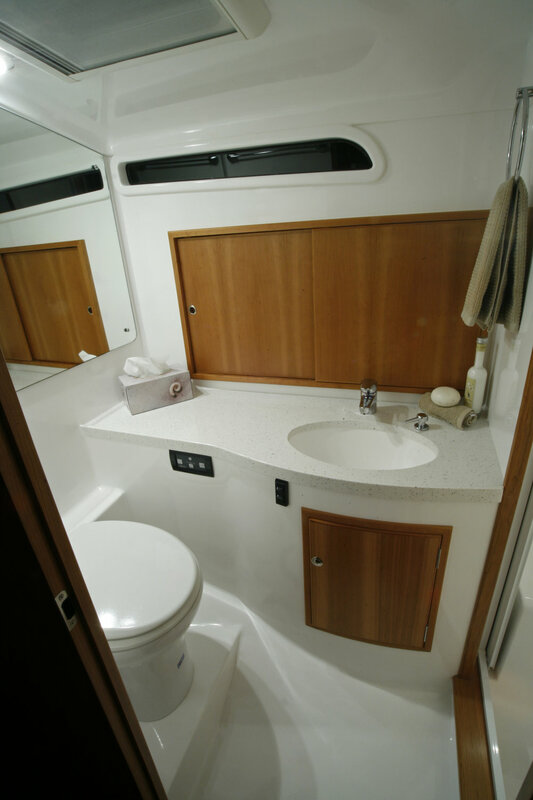 She has cameras on the bow, and engine room, diesel heater, a 5kw Northern Lights generator, and basin on the transom. She also has an inverter, SAT T.V, a cockpit 12v freezer and cockpit clears. Immaculately maintained in as new condition through out. 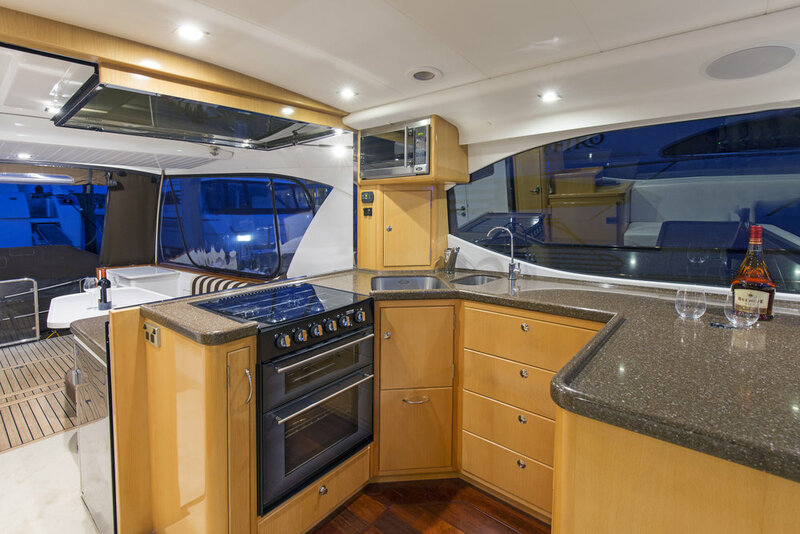 Salthouse Corsair Cabriolet 44′. This Salthouse Corsair Cabriolet is a must see for all coastal cruises or day trippers. 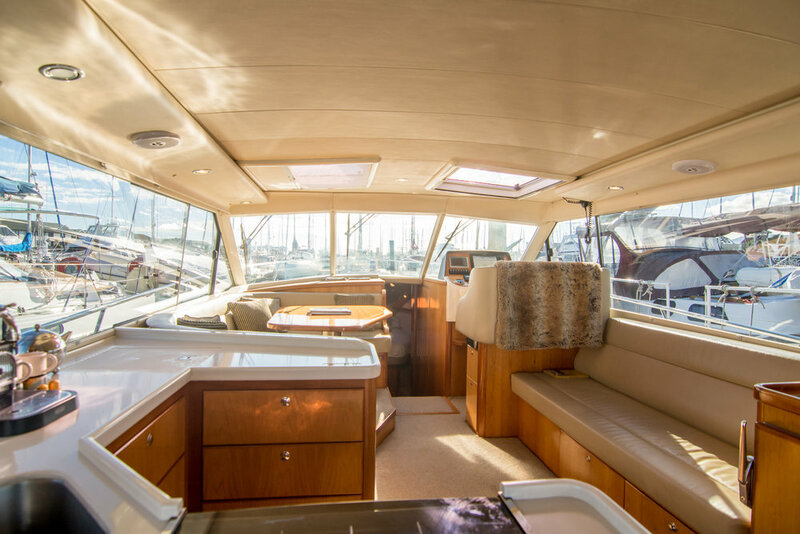 Built by her original owner for travelling north to the Whitsundays and beyond she has every safety and backup system possible.